Overview: Venus bright in southwest in early evening. 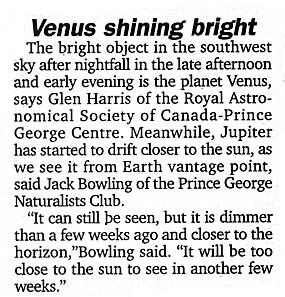 This entry was posted in 2008, Newspaper Articles on December 29, 2008 by glen_h. 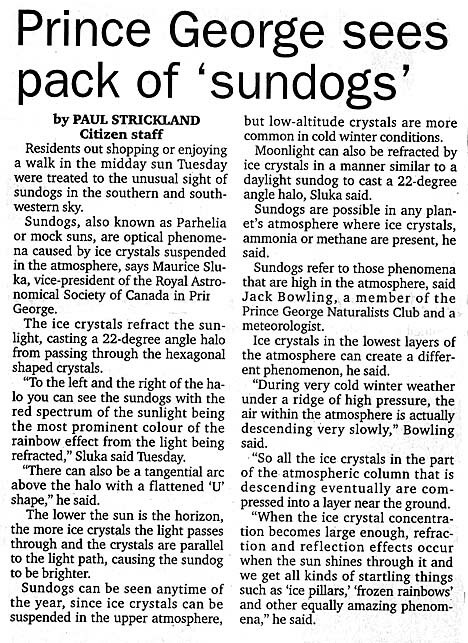 Prince George See Pack of "Sundogs"
Overview: Member Maurice Sluka interviewed. This entry was posted in 2008, Newspaper Articles on December 24, 2008 by glen_h.